The alarm goes off at 6am, and I wake to the sound of rain hitting hard on the tent walls. What? Rain at 6am? What is going on? Squat and I grumble to each other about the rain and how there’s no way were gonna pack up in this, then I reset the alarm for 6:30, hoping it’s cleared up by then. It’s still raining a half hour later. WHAT? Now I’m even more confused and irritated. I don’t mind rain in the night while we sleep, I don’t even really mind rain in the afternoon while we walk, but rain in the morning while we pack up? All our stuff getting wet right away and staying wet until the night? No thanks. I’m going back to sleep. Besides, we only have a 10 mile walk into town today. We finally decide to get up around 9, when the rain has finally subsided, and we’re walking at 10. This is the latest we’ve ever started besides the day we got lazy and walked 12 leisurely miles with Jody and Mikey. But guess what? We don’t care! It’s town day! Anything goes on town day! 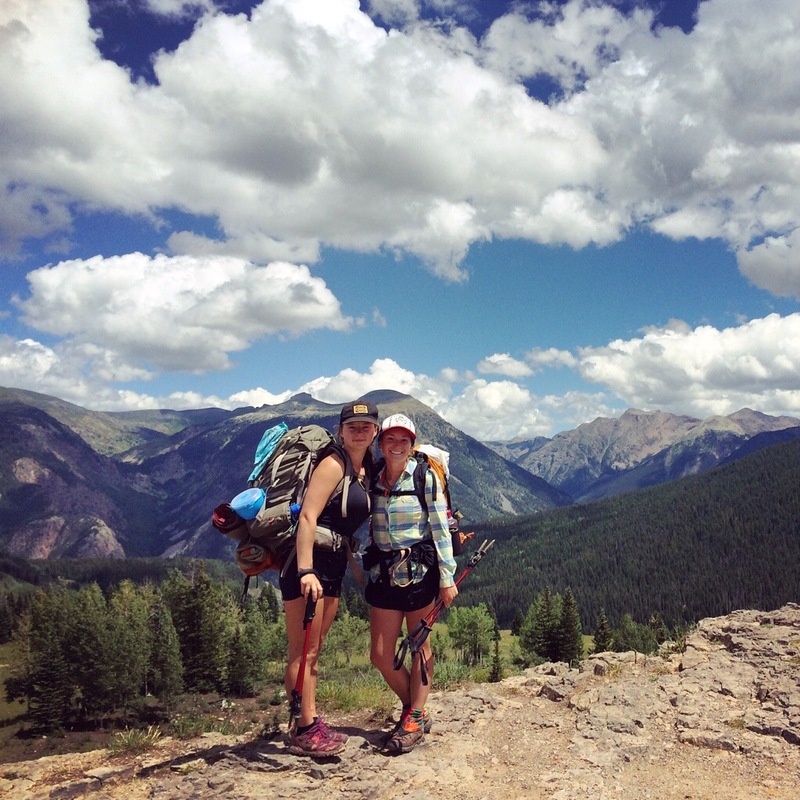 We walk the 5 miles down the rest of the descent to just below 9,000 feet, the lowest we’ve gotten since…. The beginning? 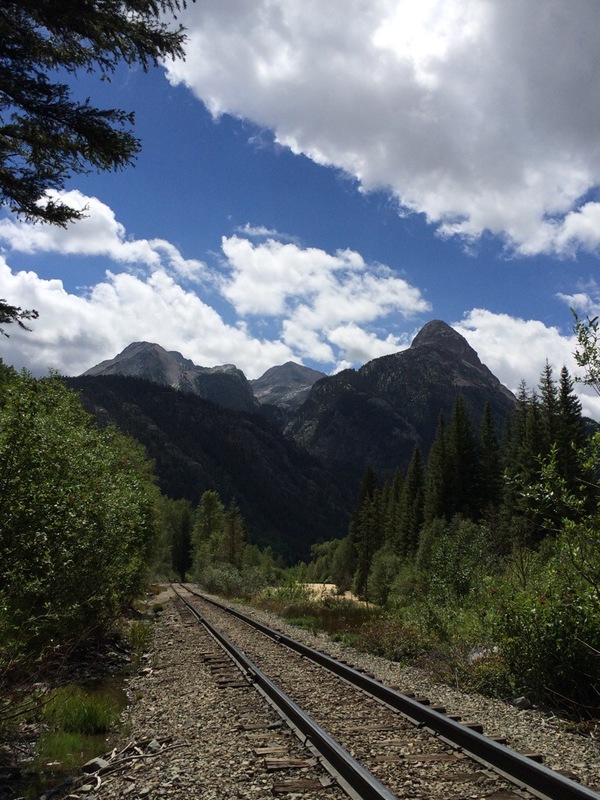 We meet a man on an overnight trip who offers us a ride to Silverton from the trailhead. I chat with him while walking down, and the miles pass by quickly. When Squat and I get to the bottom and begin our 5 mile ascent to Molas Pass, we’re about 5 minutes in front of the guy, Kyle, who’s stopped for lunch, and suddenly my competetive/speedy nature kicks in and I make a quick decision: I’m going to race myself up this hill as fast as I can go, and no one, I mean no one, will catch up to me. I’m gonna kill this mountain. I walk fast, very fast, up this hill. The first 2 1/2 miles are steep and have continual switch backs, taking me up almost 2,000 feet. This is the part I’m most concerned about dominating, and I decide I’m gonna check the time when I reach the top of this steepest section, then I’ll steady my pace out a bit for the remainder of the miles. 47 minutes later I’m at the top of my 2 1/2 mile climb. I feel good. I just f***ing killed this climb! I do the math and figure out that I’ve walked over 3mph up this fairly steep, long set of switchbacks. Damn I’m good, I think to myself. Once my pride diminishes I slow down my pace to a normal, more enjoyable hiking speed, and I walk the rest of the way to the parking lot at Molas Pass. Kyle shows up in his car five minutes later- apparently he was parked at a different trailhead- and we sit and chat and wait for Squat to show up. It’s a beautiful day, the sun is still shining at 2pm. And we’re about to be in Silverton! Our last town stop before Durango! I’m happy. In fact, I’m overflowing with joy. What an amazing life I’m living! I think again, for the thousandth time. What an incredible trip this has been! I don’t want it to end. We make it to a Silverton, get dropped off at the grocery store, walk in and instantly grab a donut out of the donut case, scarf it down in two minutes or less, then go pay for it. We make our way down the street to the Brown Bear Cafe, as recommended by the grocery clerk, where we both order a deluxe cheeseburger- three kinds of cheese- a dream come true. We hadn’t planned on staying at the hostel. We’re running out of money. All we really want is a shower and to wash some clothes in the sink, throw our garbage away, wash our pan. The hostel owner is so awesome though that she talks us into camping out back for 15 bucks, which includes access to the house and showers and everything we might need. We’ll take it! I shower and clean up, wash my clothes in the shower with me, do other boring chores, talk to the other people at the hostel, hang out with Jan, the hostel owner. She’s awesome. We dub her our hostel mom. She says we both look like we’re not a day over 15, and I tell her I’ve gotten that a lot on this trip- something about nature must be keeping me young forever- I’m happy about that. I love staying in hostels, I love meeting so many awesome people and having new friends surrounding me in every direction. I chat my way through the evening and stay up until past my bedtime, about 10, sitting in the kitchen talking to an “extended stay” guy about the town and about Colorado. I’m going to live in Colorado soon, I know I will. I love it here. It already feels like my home. < Previous A million lady lump mountain passes. Next > Hanging with the locals and a giant waterfall exploration.